While you may think of us primarily as a BBQ supply and grill store, we are also an outdoor clothing store! One brand of clothing we carry is the fan-favorite, Darn Tough Socks. We think these are the best socks you can get on the market, and here are some of the reasons why! Darn Tough Socks are made in the USA. In Vermont, to be exact. They believe that outsourcing comes at the cost of quality. Employees at Darn Tough road test the products they make. They ski, hike, bike, and run in some of the roughest terrain and climates in the United States. These are the conditions the socks are developed to withstand. These aren’t flimsy, dress socks (although they do carry many styles and colors for various occasions). They’re made to be comfortable through long construction days, or throughout the toughest hikes. Merino wool may sound fancy, but it’s incredibly comfortable and durable. It’s sturdy enough to endure long hikes while malleable enough to remain form-fitting and comfortable. The most incredible part about these socks? They come with a lifetime guarantee. If you ever manage to wear them out, they will replace them free of charge no strings attached! While at first, you may be thrown by the higher price tag of these socks, consider how many pairs of cheap, big box store stocks you’d have to buy to cover a lifetime. The price is more than justified through quality, durability, and comfort. 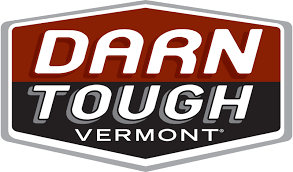 Check out a thorough review of the Darn Tough product line here. Darn Tough Socks aren’t the only outdoor product we carry. We carry many incredible brands, all with similar commitments to quality. Check out our products, or stop by and see our in-store selection today.